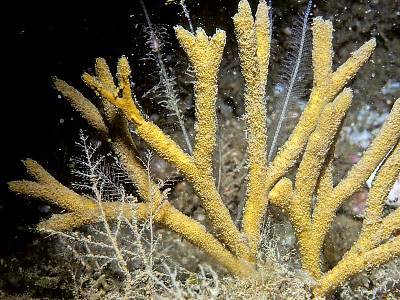 Description: Branching-erect yellow sponge in which the branches rarely fuse. 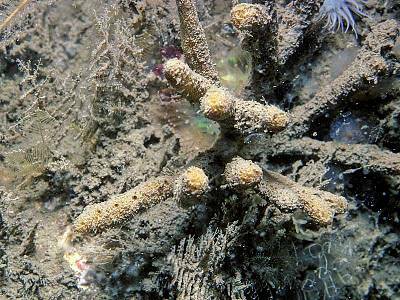 The surface is covered by even bristles which often trap a layer of silt. Individuals may grow to a height of 15cm. 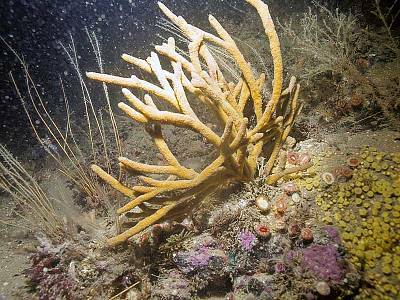 Habitat: Often found in moderately exposed sites or sheltered sites with some current, often with Raspailia ramosa, Stelligera stuposa and other Axinellid sponges. Distribution: Widespread on western coasts of the British Isles and also in the Irish Sea. 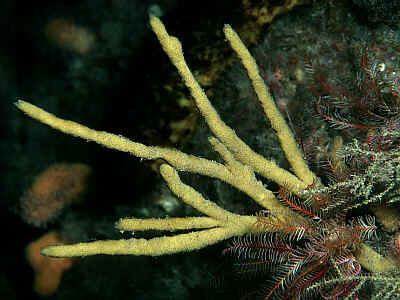 Similar Species: Can be difficult to distinguish from Stelligera stuposa by sight alone however S. stuposa produces quantities of slime when taken out of water. Picton, B.E. & Morrow, C.C. (2016). Raspailia hispida (Montagu, 1818). [In] Encyclopedia of Marine Life of Britain and Ireland.